There's nothing better than a cream tea. Deliciously indulgent; cream, jam, doughy deliciousness. With most cream teas costing around £4-£5, it's not going to break the bank but with only £27 left in my bank account (saving whilst being on summer holiday is killer) I am finding ways to do the things I love without the cost. I blogged earlier in the holidays about how we've been walking around the local area this summer; free, active, outdoors. At the end of our first walk we found a tea rooms for a cream tea, which got me thinking about making my own. 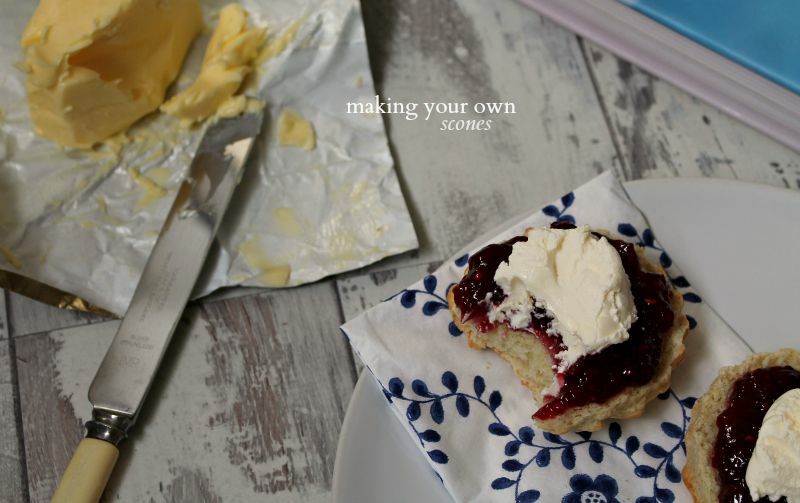 Last weekend I made the first batch of my own scones, which we enjoyed after a walk with cream and jam... at minimal cost! If you are a keen baker its likely you will have SR flour, butter, baking powder, eggs and sugar in your cupboards, which is essentially what you need to make scones. I used this classic Mary Berry recipe to make my first batch of scones. I like my scones big; find a bigger cutter for a more generous size. Look for a 9-10cm cutter for these. Don't fiddle with the mixture too much; minimal handling means they will be lighter! Don't roll the dough too thinly. For nice thick scones you'll want to keep the dough around 0.5-1inch thick. When you've cut the first lot out you will need to re-roll the dough - remember, try to avoid over-kneading. Try something different! Cheese scones with butter and chutney are a delicious alternative to a sweet scone. And now the weather is more than a little miserable (what's going on?!) what better than to set up your own sofa picnic with a good film, a cuppa and home made scones. I love cream tea but I haven't made scones for ages, I might try this weekend!